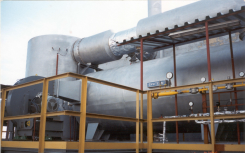 ENVITSZ - thermal combustion unit - designed to burn gaseous exhalates with output ranging from 1,000 to 100,000 N cu metres/hr and concentration of combustible harmful substances up to 20 g / cu metres, using the system of reverse heat use, in the form of hot water, steam, hot air or heating oil. Efficiency - 99.99 %. 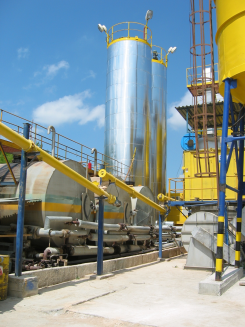 The unit is useful for higher concentration of harmful substances. 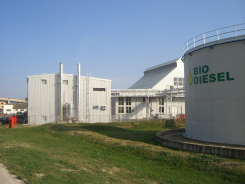 Gaseous and liquid harmful substances may be burned at the same time. 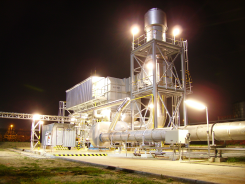 ENVIKAT - catalytic combustion unit designed to burn gaseous exhalates, output ranging from 1,000 to 100,000 N cu metres/hr and concentration of combustible harmful substances up to 10 g / cu metres, with the option of additional heat recuperation for water heating. Efficiency - 99.99%. Useful in situations with low concentration of harmful substances. 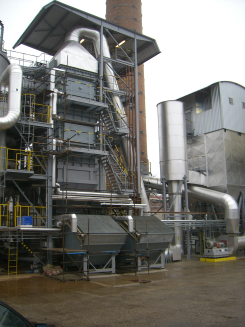 ENVITHERM -thermic regenerative unit designed to burn gaseous exhalates with output ranging from 1,000 to 100,000 N cu metres/hr and concentration of combustible harmful substances up to 10 g / cu metres. Efficiency - 99.9%. Useful for high volume exhalate flow and for low concentration of combustible harmful substances. 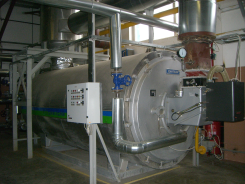 EKOMAT - Hot water and heating oil EKOMAT boilers designed for economic heating of heat carriers, such as water or heating oil, with output ranging from 200 to 6,000 kW, built-in Weishaupt natural gas burners. 95 % thermal efficiency of hot water boiler with pre-heated combustion air, at water output temperature of 190 C. The unit is suitable for deployment in renovation and gasification of central heating boiler rooms or in other heating applications. The unit will be designed and manufactured to fit the customer's requirements. 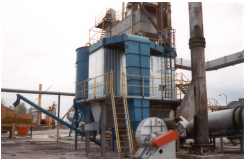 ENVIJET-cloth filters to separate solid pollutants from exhalates, output ranging from 1,000 to 100,000 N cu metres / hr. Working temperature up to 300 C, efficiency - 99.99% Suitable for highly polluted air mass, and for high volume flow. The filters are also deployed in our desulphurizing units, using the semi-dry method with front-end recuperative heat exchanger. 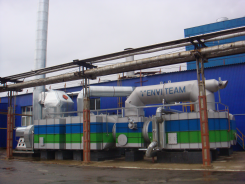 ENVIREG -Heating air, steam and various industrial technologies thermooil with recovery of waste heat from incineration plants and so forth., And to minimize energy costs per unit of production and impacts on the environment. We designed and implemented heating systems are designed to measure the end user.